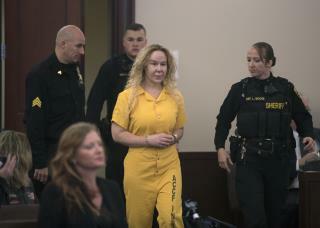 (Newser) – A woman accused of killing her twin sister by driving their SUV off a cliff in Hawaii is fighting her extradition from New York to face a murder charge. A lawyer for 38-year-old Alexandria Duval said Friday at her court appearance in Albany that his client is "profoundly distraught" and described the siblings as "soul mates," reports the Albany Times Union. He claimed the paperwork as presented by New York and Hawaii prosecutors "is not sufficient to force extradition so far." If they were identical twins it could be that Anastasia is really Alexandria, or so it will be speculated in a future Lifetime feature. Distraught? Most people who are arrested and charged with Murder are Distraught!